Dark, milk or white – everyone has their favourite shade of chocolate. Whether you are an aficionado who refuses anything below 70%, a milk chocolate lover or someone who indulges in a bit of Milky Bar the one thing that binds us all together is the thing we love all comes from the same place: the cocoa bean. Cocoa is quite the superfood and shouldn’t be dismissed as a waist-enhancer too quickly. Whether it is the fact that chocolate has a more complex flavour profile than wine, the fact it is full of anti-oxidants or the fact theobromine sometimes seems just like caffeine, it is the superfood that is also a delicious treat but be wary of added palm/vegetable oil and sugar. 1) It has antioxidant flavonoids. OK it’s actually the plant which is quite rich in flavanols which, for those particularly geeky among you who want to know, is a type of flavonoid phytochemical. There is an argument that these are maintained through the roasting process and therefore make it into the final product. This is only one of the things which makes chocolate a superfood. A number of studies have researched flavanols in chocolate including “Acute and chronic effects of flavanol-rich cocoa on cascular function in subjects with coronary artery disease: a randomized, double-blind, placebo-controlled study” (really creative titles for their research papers, these scientists…) but what’s more some boffins in London according to Women’s Health found that flavanols helped prevent sun burn – bonus! 2) According to an article in European journal Nutrition and Metabolism those top smarty-pants at Harvard University checked 136 actual scientific publications and discovered that chocolate may actually reduce the risk of heart attacks. Those funky flavanols aren’t just rocking the antioxidants but they have other health benefits like reducing blood pressure and reducing inflammation. Chocolate certainly is a superfood! 3) Theobromine keeps us awake like caffeine only with more of a buzz. I remember one chocolate judging session where we were all kind of jittery at the end like we’d had six cups of espresso. I then checked the qualities of theobrimine and found one text which actually listed chocolate and caffeine as having the same molecular structure (they don’t but it is close – theobromine has a single hydrogen atom on a bond where caffeine has a methyl group (thank you high school organic chemistry)). Regardless of the how, according to the Royal Society of Chemistry theobromine acts on us like caffeine so grab some chocolate-coated cocoa nibs next time you need a coffee. 4) The cocoa butter part of chocolate is really good for you. As long as you steer clear of chocolate which includes vegetable fat, often another name for palm oil, and stick to chocolate with only three or four ingredients, you’ll be eating a healthy fat. Choose milk chocolate at your peril though – that is often full of things other than just sugar, anitoxidants and steric acid healthy monounsaturated fats! In fact the folk at WebMD actually go as far as to suggest that it may even help prevent diabetes too. 5) Chocolate makes us feel good not just because it is yummy but because it genuinely helps alleviate the symptoms of mild depression. Chocolate contains anandamide, among other things, which, as it happens, is a neurotransmitter which helps to regulate mood. So when you eat chocolate and it makes you feel better it really is making a chemical difference according to the scientists who published in the scientific journal Nutritional Neuroscience. 6) I can tell you from solid experience that adding a 70% or better dark chocolate to your diet really does help curb cravings. In fact, researchers from the University of Copenhagen found that dark chocolate is actually (and somewhat weirdly) more ‘filling’. 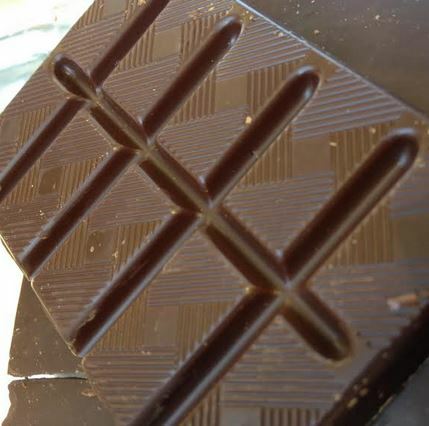 What’s actually happening is that the dark chocolate is causing more of a feeling of satiety whereas milk or white, with their high sugar content, cause a different chemical reaction in the brain. So dip in to the dark chocolate for that fix! 8) Chocolate makes us smarter! British researchers at the University of Nottingham found that drinking chocolate helps to increase blood flow to the regions of your brain that are responsible for cognitive function. Not only that, but the blood circulation to the brain was apparently boosted for up to 3 hours. A study by neurologist Dr Farzaneh Sorond in 2013 found that volunteers with an average age of 72 reported a 30% bump in memory and thinking abilities after drinking two cups of (properly prepared) hot chocolate (not the junky ‘just add water’ kind chock full of sugar mind – the proper stuff) daily for 30 days. An Oxford study found that people who consumed flavonol-rich foods which include dark chocolate and red wine scored higher on cognitive ability tests compared to a control group. So that makes chocolate a brain food – fill up uni students! There are lots of reasons why my fellow chocolate bloggers and I love chocolate and think you should too, but most of all we think that simply enjoying ethical dark chocolate which has been responsibly sourced (like Askinosie or Divine or SOMA (drools) or countless others) is the most delicious of all. Thanks! I really did a lot of research because I wanted to make sure the things I was saying could be verified! I am def going with because chocolate makes us smarter. Good points Judith. I am on a health kick at the moment, but I am allowing myself a square of dark chocolate in the evening and boy do I savour it! After the infamous Lindt explosion, it is definitely my new year resolution to stick to chocolate with higher cocoa percentage and experiment with some single bean bars. I’ll be after recommendations! Of course! Askinosie is my big fav but in the UK it is hard to come by. Pump St who are LDN locals are awesome as is Duffy a Midlands-ish producer. Of course Willie making his chocolate in Devon is in Waitrose and there are a lot of other Bean to Bar producers in the UK scene! Looking at this list it’s no wonder that most women are addicts considering what we have to put up with. 😉 In my books I’ll go for the dark chocolate, less of the bad and more of the good stuff. This is the best news to hear, I knew a few of these points but there were plenty more facts here I hadn’t heard about. I agree that eating darker chocolate curbs the sweet cravings and I also find I need to eat less of it. I also have tried raw cacao and found it had exactly the same effect as coffee. Hapooy New Year Judith, here’s to a year full of good chocolate discoveries! In light of the ruckus about the changes in Cadbury eggs it is good to be reminded about the benefits of good chocolate.